Winter precipitation is certainly beautiful, but in much the same way that it can make the roads treacherous, it can also wreak havoc on your chimney. Learning more about the effects of winter precipitation on your chimney and the steps you can take to keep things in good working order can save you tons of money and prevent serious headaches. 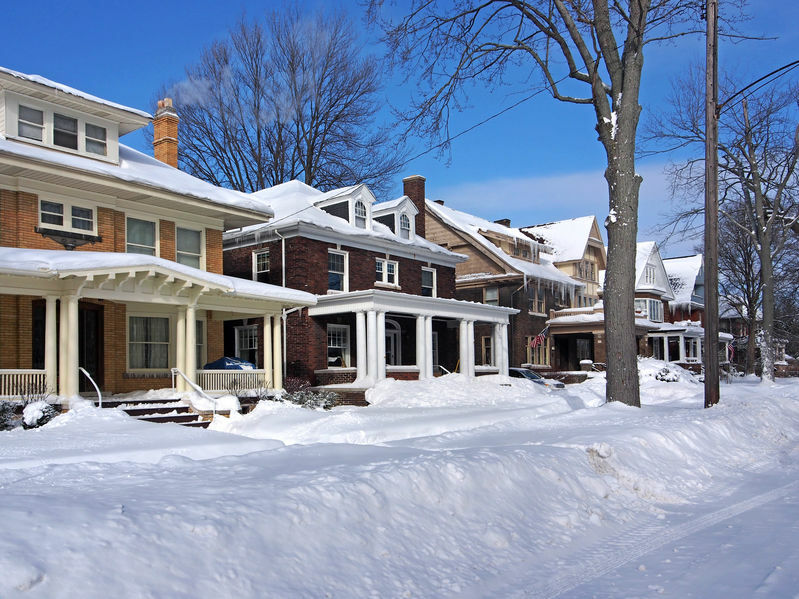 Many parts of the US – and especially the Midwest – are prone to the effects of the freeze/thaw cycle that occurs each winter. Winter precipitation falls, lands on the chimney masonry, and later thaws as the sun shines down. All throughout the day, the porous brick absorbs the melted snow and ice. Then, as night approaches, the temperatures dip below freezing, and the moisture that was absorbed by the brick begins to freeze and expand. Though it may not be noticeable at first, this process of freezing and later thawing causes tiny fissures and cracks in the masonry. Over the course of many seasons, these tiny fissures and cracks become larger, and they will eventually lead to crumbling masonry. The best way to prevent crumbling masonry – also referred to as “spalling” – caused by the freeze/thaw cycle is to have your chimney masonry waterproofed by a professional. Though there is some debate as to the efficacy of the waterproofing process, most professionals agree that it can extend the life of your chimney masonry by decades when done properly and on the correct schedule. Another common problem that homeowners experience with their chimneys in the winter is water damage caused by loose flashing or the lack of a solid chimney cap. In these cases, precipitation and the resulting meltwater can seep into the home and cause damage to the wooden structure in the form of rot or mold. This is especially common in areas that receive a great deal of snow and ice during the winter; the weight of the snow along with the length of time the precipitation remains in contact with the home directly affects the likelihood of such damage. The best way to prevent such leaks is to have your chimney inspected at least once each year as recommended by the Chimney Safety Institute of America (CSIA). During these inspections, trained and certified technicians will look at the inside and outside of your chimney – including the flashing and the chimney cap – to ensure their proper installation and function. If repairs are necessary, carrying these out prior to the winter season is the key to preventing further damage and potentially saving yourself thousands of dollars in the process. Although homeowners across the country rely on their fireplaces during the winter to help provide warmth and comfort, those winter months can be quite harsh if those homeowners fail to take the proper precautions. To prevent these issues (and others) this winter, be sure to schedule your annual inspection and cleaning as soon as possible and be sure that the company you choose hires only CSIA-certified technicians.